It’s time to celebrate graduation! 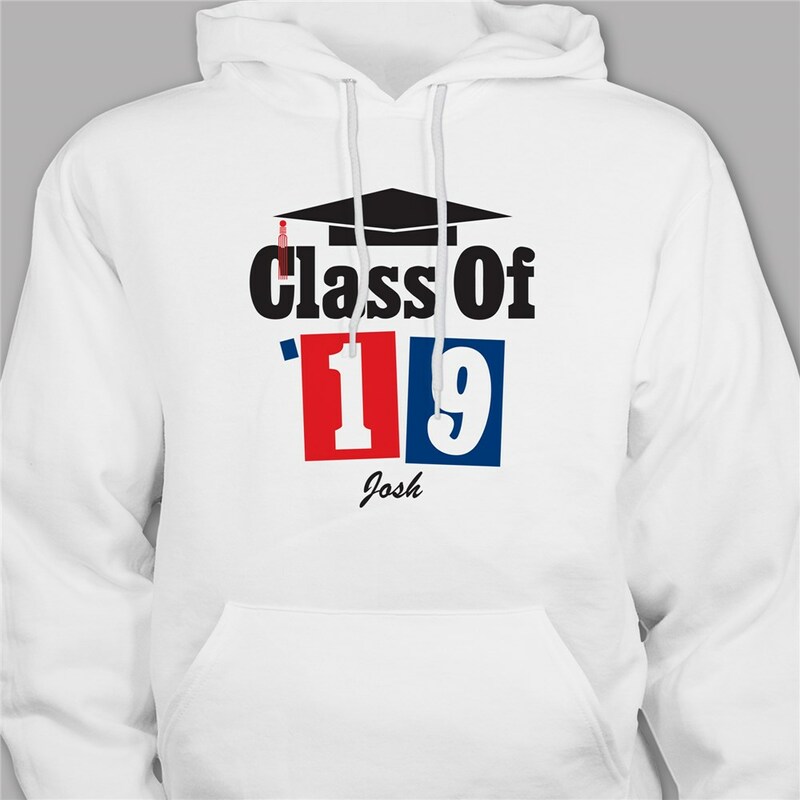 Present your new graduate with this eye-catching Class of 2019 Graduation Hooded Sweatshirt! Perfect for both him or her and high school or college graduates. 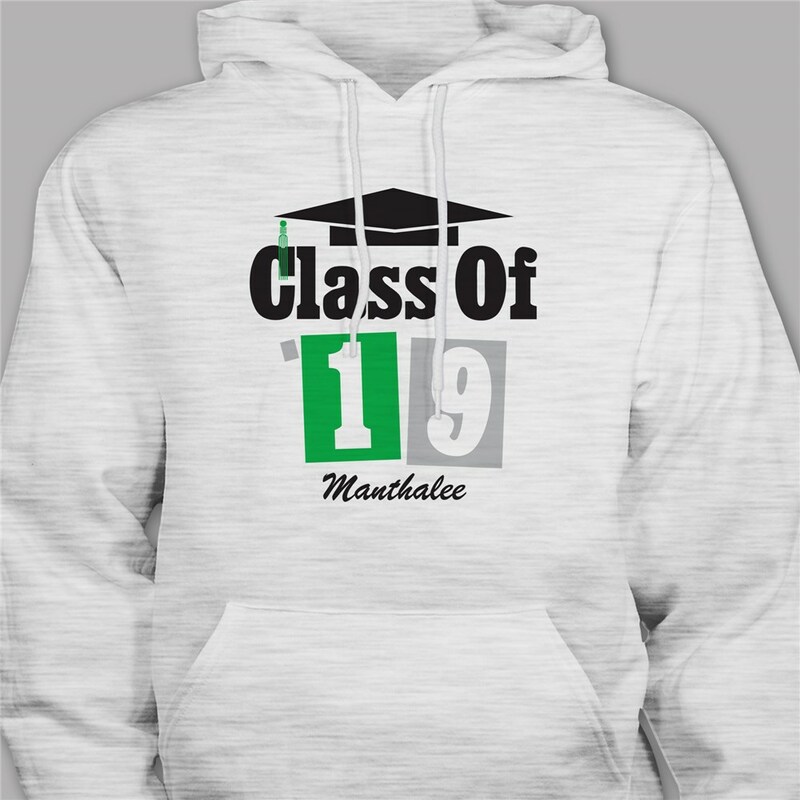 This Graduation Hoodie is available on our white and ash gray cotton/poly blend hooded sweatshirt, machine washable in youth sizes S-L adult sizes S-2XL. Free personalization of any name, year and two school color choices. The girls loved them. Healthy fit, is super soft inside!! 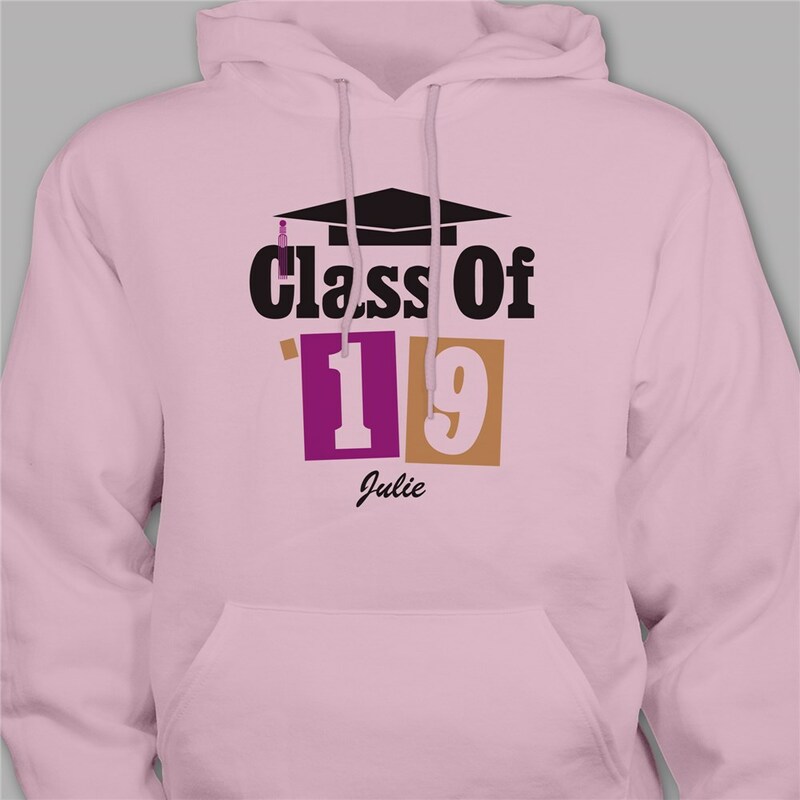 Additional Details If your planning a graduation party and need graduation gift ideas start here for your personalized graduation party invitations, custom senior class graduation gifts and more. Personalized Graduation Gifts make the best congratulation gifts to give. Your new graduate will appreciate the thought and will also enjoy our Graduation Photo Throw Blanket & our Graduation Throw Pillow as well.